Following a first look at some Snapdragon 855 benchmarks, a Geekbench score for an alleged Samsung Galaxy S10+ variant has leaked, confirming just how fast the 855 is. Spotted by MySmartPrice, the Geekbench score is listed under Samsung model number ‘SM-G975U.’ This model number reported represents the unlocked U.S. variant of the S10+. As such, it sports the new Snapdragon system-on-a-chip. Further, the Geekbench score reveals that the S10+ sports 6GB of RAM. Some rumours suggest Samsung will also offer an 8GB RAM version and even a 10GB RAM ultra-premium phone. 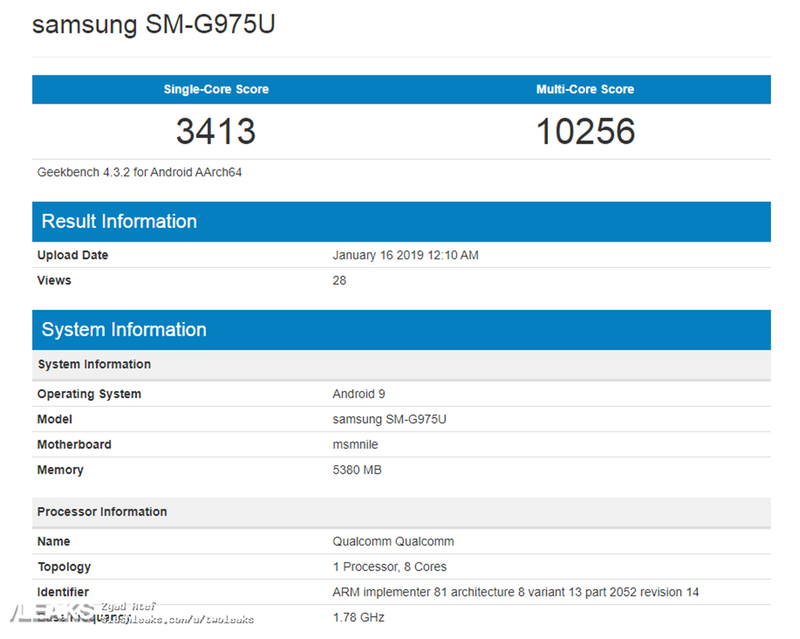 As for the Geekbench score, the S10+ had a single-core score of 3413 and a multi-core score of 10256. This is a tad lower than the scores obtained by the reference Snapdragon 855, which got a single-core score of 3501 and a multi-core score of 11189. It’s no surprise that the S10+ score lower than the reference device here. This is potentially the first commercial 855 we’ve seen in a retail device running Android 9.0. Compared to the reference device, there’s likely more overhead. Further, Samsung’s customizations to Android could contribute to the reduced score. That said, the S10+ still scored incredibly well. Plus, benchmarks hardly tell the whole story. This information tells us nothing about battery life, usability, or a myriad other factors. 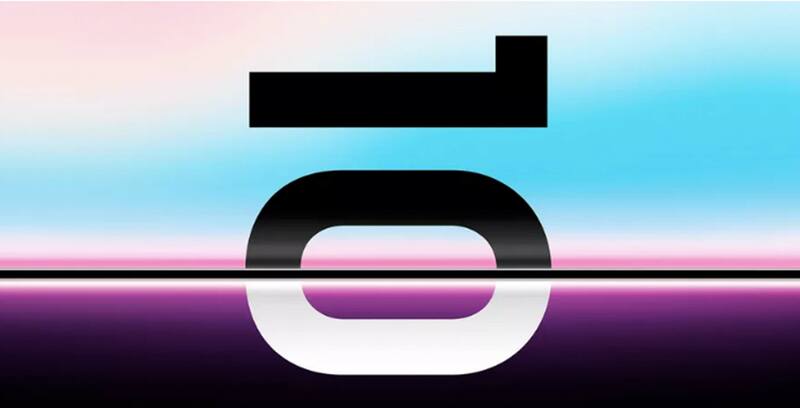 While the Geekbench score, unfortunately, doesn’t confirm any other hardware specs, rumour has it that the S10+ will be available with up to 512GB of storage. What the Geekbench does confirm is that the S10+ will run Android Pie, no doubt with Samsung’s One UI customization. It’s also worth noting that the U.S. — and typically the Canadian — variants of Samsung phones run Snapdragon processors. This year looks to be no different. Other markets will get S10 variants with Samsung’s own Exynos 9820 processor instead.